RIV-FLOAT-Short Inch Sizes Small Flange Series | Sherex - Bolt Products Inc. 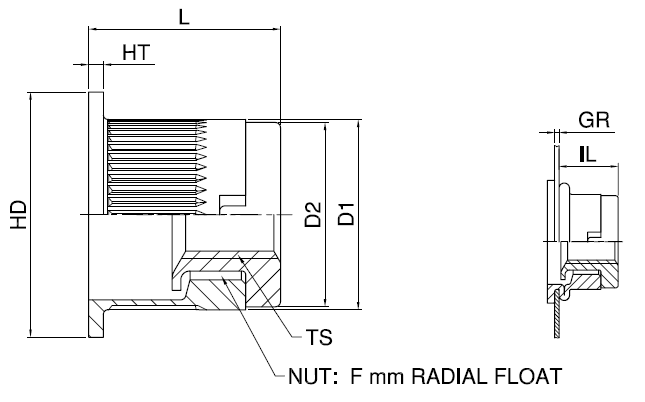 The floating internal threads on RIV-FLOAT®-SHORT allow for component attachments in off center applications and can accommodate for tolerance stack up in the manufacturing process. The floating nut (.020” radial float) aligns to drive the angle of the screw virtually eliminating cross threading and spin out. New Low-Profile design provides greater backside clearance.